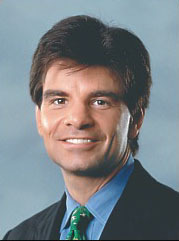 No evidence has ever surfaced that Stephanopoulos is gay, other than he remained a bachelor until age forty. See Michael Wolff, "By George: Clinton survivor George Stephanopoulos, the former Boy Wonder with the great hair, is now a Legitimate News Guy (with great hair). And he may be ABC's next big star", New York Magazine, 18 February 2002.